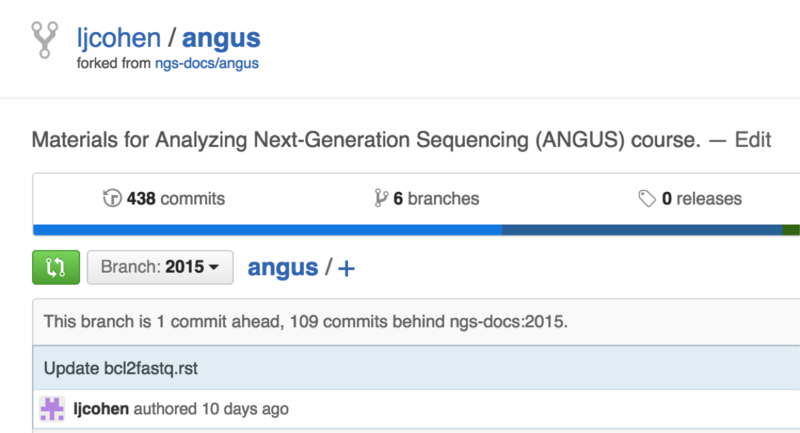 Dr. C. Titus Brown shares methods for using readthedocs, which he uses for classes including NGS2015, as well as github and forking pull requests. 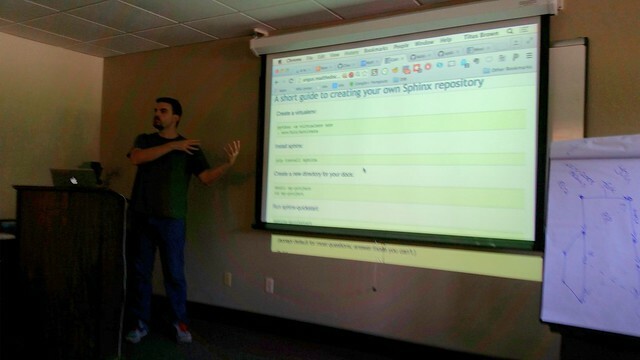 Sphinx is Python based, readthedocs is web-based method for putting stuff in Sphinx. Learning goals at top of lesson pages. We’re going to go through steps on the web all together. Screenshots become out of data too quickly. Readthedocs will take some version controlled project from somewhere (github or bitbucket) and format it for you. 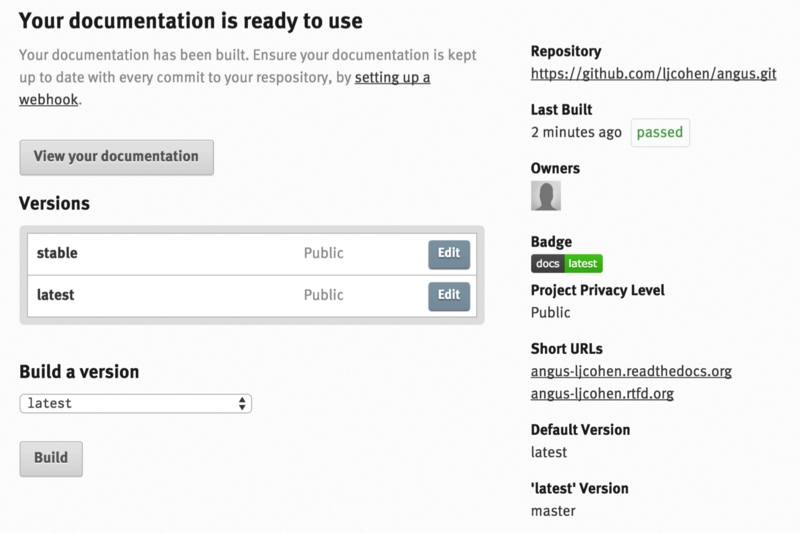 GitHub webhook activated. Readthedocs will sync and automatically rebuild. Forking one repository with groups of people. Pull requests: One of top useful things Titus has learned! Goal is to keep track of changes, see progression. 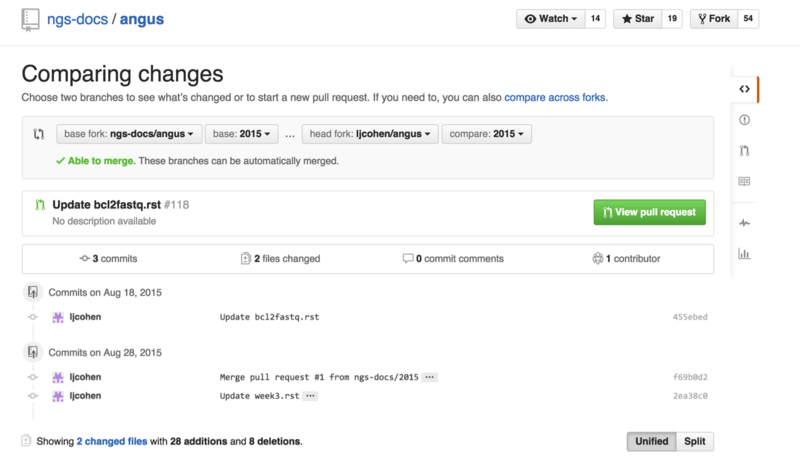 Merge pull request, now all chnages updated. Click on “compare”, if there are any changes they will be highlighted. Once they are merged, there will not be any more changes. Sometimes you need to switch head fork to base fork accounts. Branches are very useful for years of courses, versions of software, etc. Leigh: What are best practices with group of pull requests? What is one or some people are making tons, tons of changes? Should we pull? Master branch. You can ignore until ready to be merged. They will tell you when they want pull request, but they will have to reconcile with the one true. Person who is making changes has to deal with everyone else’s changes so everyone else doesn’t get behind. Software lines of code so “bombs” do not mess up everyone else’s code. Amanda: Where do people who have write access to the one true master branch? Does she work in own fork? Those people can make their own fork then merge and conflict reconcile with one true. 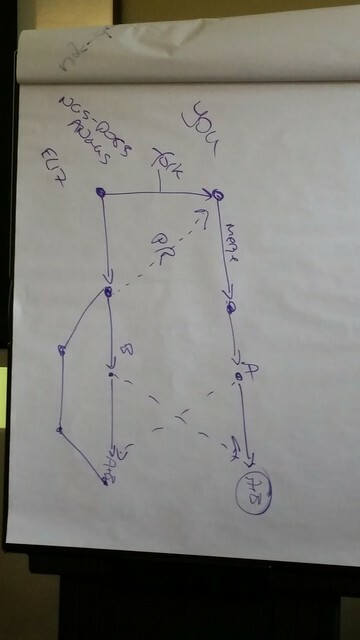 There are 2 commits, one to merge pull (fetch) from original, second to put change in. Can search for commits, issues, and pull requests associated with this code. Merge conflicts occur when computer can’t resolve. 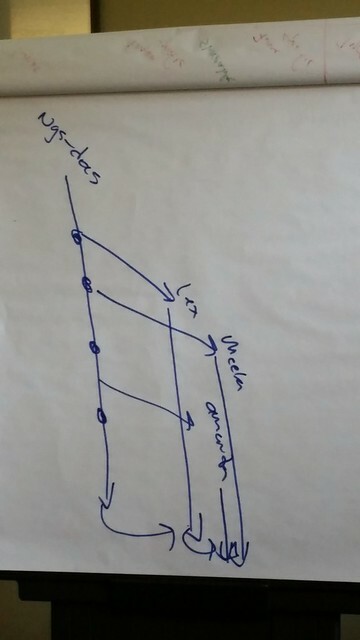 This entry was posted in Genomics Workshop. Bookmark the permalink.